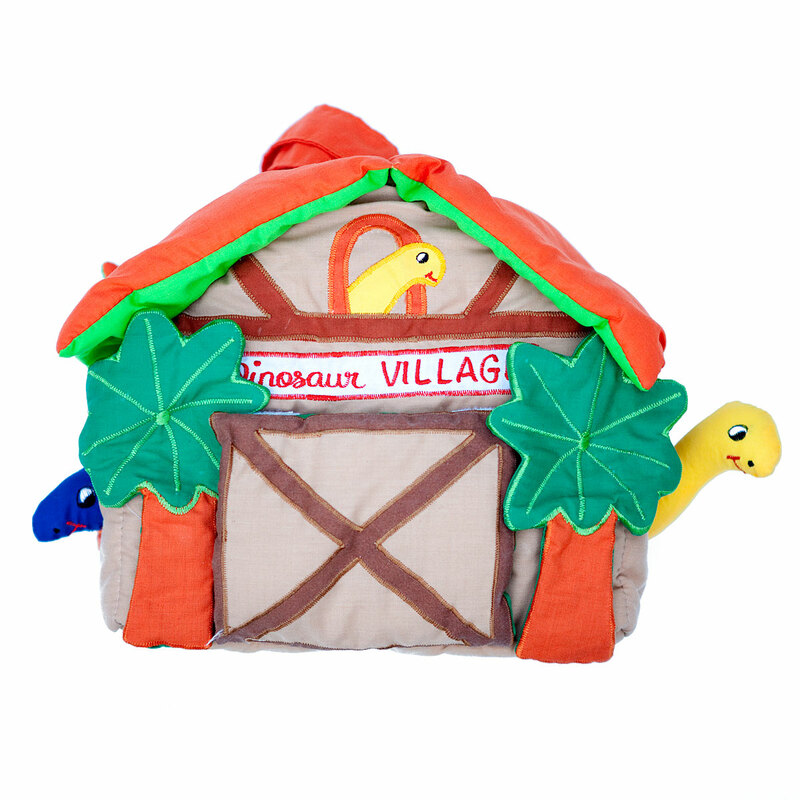 This gorgeous house full of soft dinosaurs will delight children! Open the velcro door or peer through the windows to see all the characters inside! 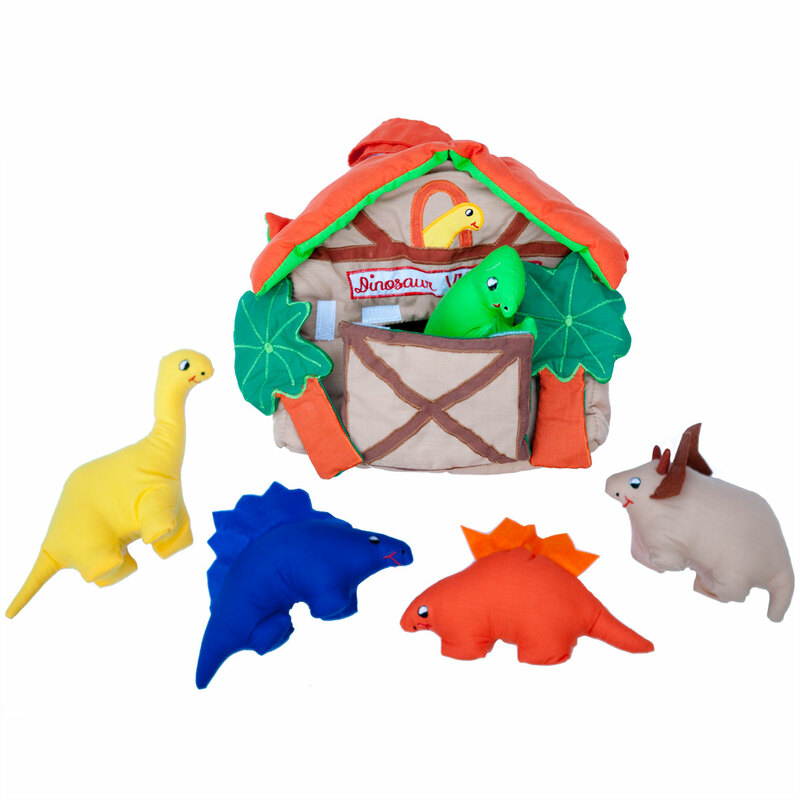 There are 5 colourful soft dinosaurs to play with - each measuring approx. 14-20cm long. You'll find T-Rex, Stegosaurus, Triceratops, Kentrosaurus (I think!) and Brachiosaurus. They can come out to play or pack up neatly to be carried with the handle on the roof. Even the trees either side of the door are detachable (with Velcro). Measures approx. 21cm wide, 20cm high, 12cm deep.